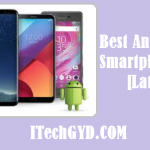 Android always comes with new and more advanced phones to satisfy its customers and keep its reputation as the giant in the phone industry. 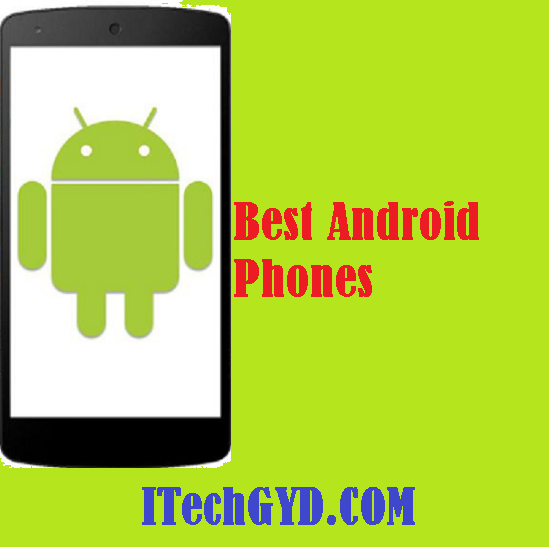 All Android Phones are great in their own way so it can be quite a difficult task for anyone to choose the best ones. Worry not. 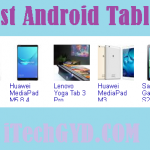 We have compiled a list to help you through the process of finding the best Android Phone. When talking about the best phones, it is a crime to not mention this beauty. With its amazing design, advanced technology, and multiple features, this phone tops the list. The phone comes with 4Gb RAM and 64 to 128 GB storage. External storage up to 256 MB can be used too. Weighing just 155grams and with a curved design, the phone also has a tall aspect ratio and larger screen with a better display. To keep up with the selfie culture, the phone has a brilliant 8mp front and 12mp rear camera. It has biometric recognition and Android’s newest advancement, Bixby which is a virtual assistant. Costing somewhere between 600 to 700 dollars S8 is the best choice if your pocket allows. Although most people tend to avoid a Plus due to it’s larger size, S8 Plus has removed this worry. It is quite easy to use even with the enlarged size. The phone comes with 8mp front and 12mp rear camera. Moreover, it has a 3000mAh battery which lasts for up to 14 hours on internet usage. Using your biometric recognition to unlock the phone, S8 Plus has a speedy performance and a solid camera for the photogenic ones. The only downside might be its whopping price of $800-900. However, the phone is worth the splurge if you can afford. Supporting the Android Nougat, U11 has a 5.5-inch display which really upgrades the whole process of watching videos on your phone. Furthermore, the phone also has excellent audio performance and squeezable sides to quickly launch apps. Probably, the best thing this phone fits at the lower price is its amazing camera. There are an 8mp rear and 12mp front camera for those gorgeous selfies. The 3000mAh battery lasts longer and gives a longer talk time. With its sleek design and amazing features, U11 is a good pick at $650. Google Pixel is that one and only phone that lets you experience the whole essence of Google and Android combined together. It supports the latest Android Nougat 7.1 and has smooth and speedy performance. The display is one of the surprisingly awesome things about this phone. It is bright and HD with a moderately sized screen. There are an 8mp front and a 12mp rear camera; another thing to totally dig this phone for. With 2770mAh battery, the phone might not have a battery timing as flexible as the other Android phones on this list. Nevertheless, the beautiful design and HD camera is every reason to get this phone at an understandable $550. Moto Z is the newest innovation in the word of modular phones. The best feature about it is magnetic clip-on accessories. What that means is that you can have a new camera, a project or maybe even a speaker system in your already existing phone. Weighing 165grams, the phone has a 5.5-inch display which is quite sufficient. There is a 5mp front and 16mp rear camera to take some decent pictures. At a minimal price of $350-400, Moto Z only falls short in the low spec CPU department as the performance tends to suffer there. If you are someone who travels a lot or is always working with no time to charge your phone. Or if you are just a phone addict, Lenovo P2 is the phone for you. With 5100mAh battery, the device just keeps on going for two days without any conditions of the internet or minimal usage. It runs Android Marshmallow and has a 5.5-inch decent display for watching movies. There are a 5mp front and 13mp rear camera. Costing just $350 to $380, the phone is lighter on your wallet despite being actually heavier than other normal phones. Samsung Galaxy Note 8 is just a better and larger version of S8 or Plus. Just take those two and scale them up a bit. Not only is the screen larger with a 6.3-inch display, the panel also offers better brightness and display. While other features are basically the same, the camera comes with 2× zoom option. This zoom feature does not reduce resolution. 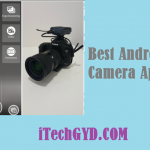 Moreover, it also mimics the background blur feature of a professional DSLR. This is a great catch for those who like taking pictures with their phones. Note also comes with an S pen which is a Samsung stylus. While it may not be useful for everyone, it comes in handy for those who draw and illustrate on their phones. Note 8 is definitely a burden on the pocket by being the most expensive phone of Samsung up to date priced at $1000. LG is a great alternative to the S series. With glass and metal build, curved edges and a 6inch display, this phone offers great design. It has a 6mp front and 16mp rear camera which takes great pictures due to LG’s betters lens technology, despite the lower resolution. The 3300mAh battery provides decent talk time and battery timing for the price. V30 runs Android Nougat which has the latest Android features. V30 will be LG’s new flagship device with its advanced features and matchless specs. LG is all set to take up more than one slot on your list with the amazing G6. It has premium design and brilliant display. G6 is the flagship device for the company and is quite famous among the phone photographers due to its dual camera feature. The body is water-resistant and quite classy looking too. With 3300mAh battery, G6 provides ample talk time for the day. It runs Android Nougat with the latest features and has 32 to 64 GB storage available. For $500, G6 is a bit pricey for its specs which is why it is a little down on our list. Nevertheless, it is a great phone for anyone looking for a great design with convenience. One Plus 5 is one of the best phones on the market. It has a beautiful design with a bright display. The best thing about the device is its clever dual camera with two rear shooters. The phone has a 16mp shooter and a 20mp lens which is secondary. The advantage of this is that it helps the phone take some DSLR style pictures with in-depth effect and that realness. The wider aperture allows the phone to take amazing low-light pictures. The phone has a long-lasting 18 hour battery time and 64GB storage. Supporting the 2.45GHz Qualcomm Snapdragon 835 processor, One Plus has quite a speedy performance. It can be bought for $500 to $600, which might seem a little over priced for the specs. All of these phones are remarkable in their own way. 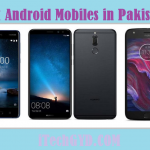 It depends on the users’ needs and requirement which phone might appeal more to them.